What are account managers and what can they do? 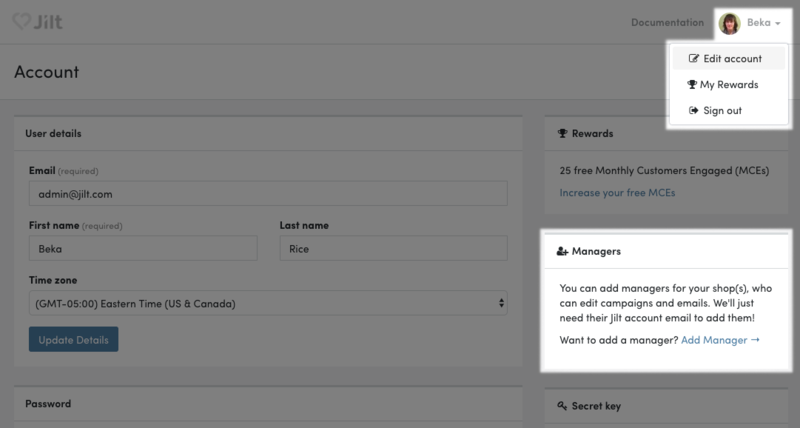 You can request account managers be added to your shop(s), who have the ability to create and update your Jilt campaign emails, plus view your abandoned carts and customers. They do not have access to billing or account-level information. You can add a shop manager to your account from the Settings > My Account page. 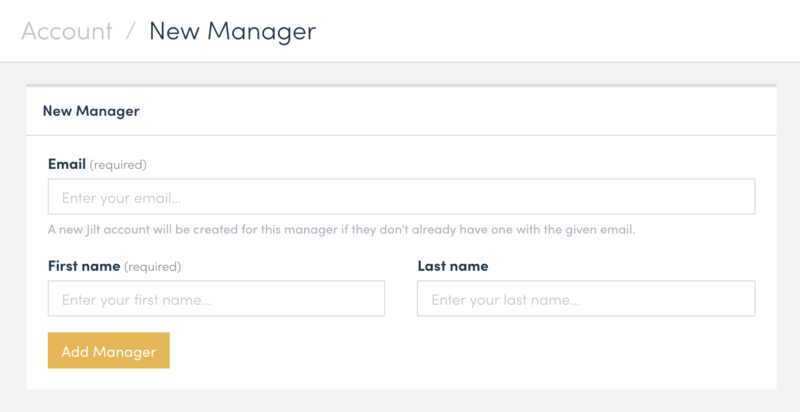 From the New Manager screen, enter the manager’s details and click the Add Manager button. Keep in mind that the new manager will have access to all of the stores that you've connected to your Jilt account. You’ll see any managers active on your account in the Edit account screen, and from there you can remove them if you no longer want them to have access to your shops by clicking the trash icon.